When it comes to the buying and selling properties online, a nice and top-notch website seems to be a crucial part in order to compete in the retail business industry. Make it easy for your clients to find the needed information quicker and easier. Below you will find a batch of persuasive 15 Real Estate WordPress themes to build up a fully functional business website easily and hassle-free. It will help to build credibility, provide the needed information to your visitors and make money in the long run. For this, you need to choose the perfect website template, which will suit your business requirements the best. Nowadays, the real estate market is growing rapidly, thus your website needs to be unique and creative to gain the attention of your targeting audience. Some years ago it was considered, that running a website was very expensive and complicated. Good news: thanks to WordPress platform the whole process is a quite simple and takes minimum efforts. WordPress is an easy-to-use, intuitive and open source platform, which gives you almost endless options to build up a modern and attractive business presence online. The library of WordPress themes and templates counts thousands of free and premium products ready to be used right out-of-the-box. Almost all templates feature responsive layout, which makes your website accessible and readable on the web market. SEO-friendliness, cross-browser compatibility, and valid semantic code are among the most important smart features pre-packed in every WordPress theme. These days, people are impatient, they don’t want to wait until your attractive website is downloaded. So, think carefully, when customizing the design of your page and add cutting-edge UI elements reasonably. Create a captivating business presence online in order to attract customers and convey the accurate message to them. There is another great way to go in case you don’t want or have no time to edit the theme properly. If during the customization process you meet difficulties with your template, feel free to contact the FitWP’s Service Center and get a fully-fledged assistance with your template. As the result, you will have a fully functional and ready to go the website and no headache at all. Anyway, find below the collection of Top 15 Real Estate WordPress themes, where at least one will fit your business requirements and help build up a successful real estate website with ease. Start conveying the accurate message to your prospective clients and increase your sales. This WordPress theme provides you with a number of smart editing tools to create attractive and cutting-edge business presence online. Represent your excellent products and services in the best possible manner. This WordPress theme boasts great and cutting-edge design, valid semantic code and responsive layout. The theme will give you enough freedom to make any changes you need to meet requirements of your business. 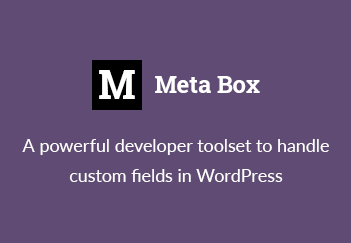 PSD files, detailed documentation, cross-browser compatibility, MotoPress editor and MotoPress slider, MegaMenu and other UI elements are pre-packed in it, too. Grab this extremely helpful tool to set up a dynamic and attractive website related to real estate business. Responsive design and cross-browser compatibility provide accessible, visible and readable website across multiple handheld devices. The clean and minimalist design is enhanced with a set of smart user-centric options to give your audience the great user experience. The clean and minimalist design of this WordPress theme is aimed to make your website more informative and useful for your audience. Full-width images together with Parallax effect will help to impress your target audience and gain their attention. Powered by Cherry Framework and Bootstrap toolkit, the theme provides the most professional look and feel to your website. Another top-notch solution to set up a solid and pleasant to eye website related to real estate business. Filled with smart features and editing tools it provides the visitors with the needed information in a few clicks. Easy to navigate, easy to install, mobile-friendly, SEO-optimized, etc. This WordPress theme is flexible enough to meet the needs of the websites related to real estate and exterior design niches. Create a marvelous presentation of your products and stand out from competitors on the web market. Audio video options, social options, responsive layout, SEO-option, etc. Grab this fully-editable template to create efficient real estate website with ease. Pre-packed options, such as filterable portfolio, custom widgets, built-in theme customizer, fantastic sliders and Parallax effect allow enhancing the visual appearance of your website. Build up a profitable rel estate website using this WordPress theme. It comes with a drag-and-drop page builder, a pack of pre-designed page layouts, Cherry real estate plugin, HTML plus JS animation, video integration, newsletter subscription and other smart features. Grab this useful tool and represent your goods in the best manner. This theme is designed to meet the needs of real estate websites. The combination of black and white colors makes the theme more visually appealing. SEO-friendliness, cross-browser compatibility, responsive design, user-friendly navigation are included in it, too. Another top-notch WordPress theme suitable for real estate websites the best. A mobile-friendly design provides unmatched performance and great user experience. User-friendly navigation makes it easy to find the necessary information on your website easily. Grab another interesting solution to create a unique website suitable for your business needs. Responsive and user-friendly design provides your visitors with the great user experience. Your website will be always readable, visible and accessible on all popular handheld devices. Build a website that looks elegant and modern using this interesting WordPress theme. The theme gives a trustworthy and reliable feel and look for your visitors. Provide them with easy navigation, responsive design, impressive portfolio options, eye catchy price tags, nice hover effect and other UI elements to gain the attention of your targeting audience. If you are looking a great WordPress theme to create a website to stand out from competitors, then you need to grab this smart solution for sure. Sliced PSD files, custom page templates, Google map, HTML plus JS animation, Parallax and Lazy load effect and video integration allow you to build a strong business presence online. Build an efficient presentation of your products and customers will appreciate your exceptional service. The theme is fully editable, well documented and SEO-friendly. Responsive design and cross-browser compatible option make your website accessible and visible across all handheld devices. Lazy load effect and HTML plus JS animation can enhance the visual appearance of your website. Do you need a flexible theme to have freedom to make any changes in theme’s layout? This WordPress theme is a great choice for you. Designed according to the latest web design technology, the theme allows you to represent your notable business in the best possible manner. Responsive 2 columns layout, cross-browser compatibility, sortable gallery, custom page templates, full-width page and other smart add-ons to showcase your brand skillfully. Finally, if for some reasons you didn’t find the suitable template for your real estate website, please feel free to go here and find more top-notch WordPress solutions for all types of business niches. Keep in mind that you should think like a customer to meet the needs of your targeting audience and provide them with unique and useful service online.